What a great night to take the family out for dinner. 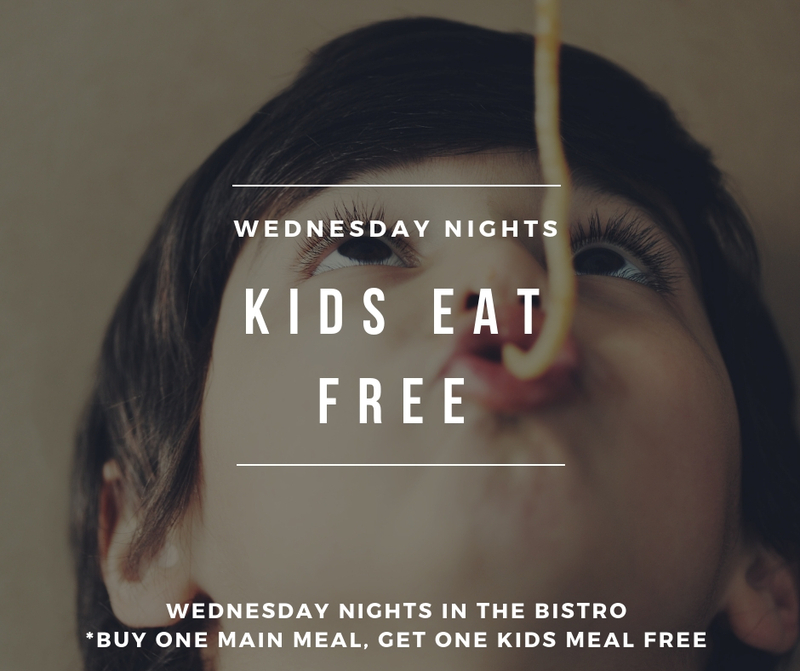 Kids eat FREE Wednesday nights in the Bistro. *Buy one main meal, get one kids meal free! Category: News. Bookmark the permalink.